Camogie is a relatively new sport played in Our Lady of Lourdes Secondary School established in 2011. In January 2012, OLOL played their first ever competitive match. The school caters for minor, junior and senior camogie and play in the Leinster Colleges B & C Camogie leagues. 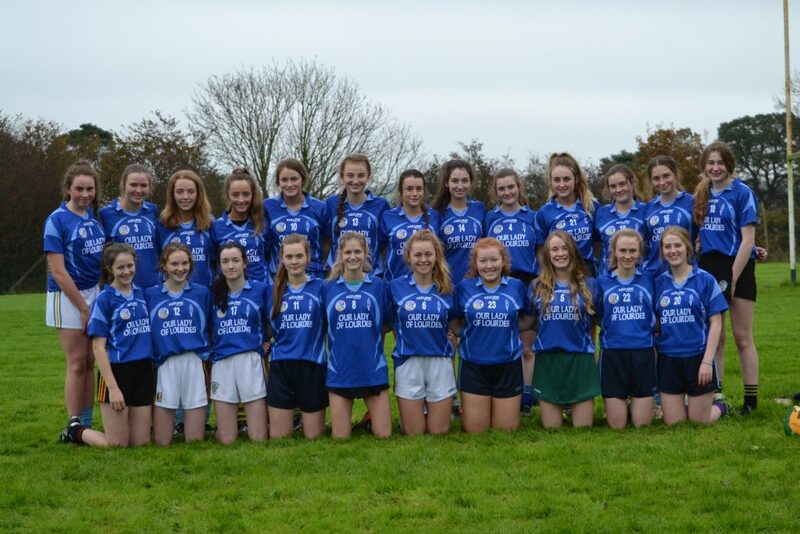 There have been many successes in the short space of time the sport has been played in the school, with many Leinster titles and final appearances at different age groups and grades. The highlight of all these successes was when Our Lady of Lourdes bet St. Augustines, Dungarvan in the Senior All Ireland final during the 2015/16 school year.